Deck Railings, Scroll Work Railings, Balcony Railings, Cable railings made in U.S.A. Lifetime warranty. Best quality guaranteed. All our railings are heavy duty made of real wrought iron; you will be happy. Big project? Contractors qualify for special volume discounts. Send your invitation to BID. Homeowners please send pictures and rough measurements to to get an estimate within 48 hours. Here is more information on how to order. APPROVALS SAMPLE: This is what you will receive to approve the dimensions of your deck prior to fabrication. 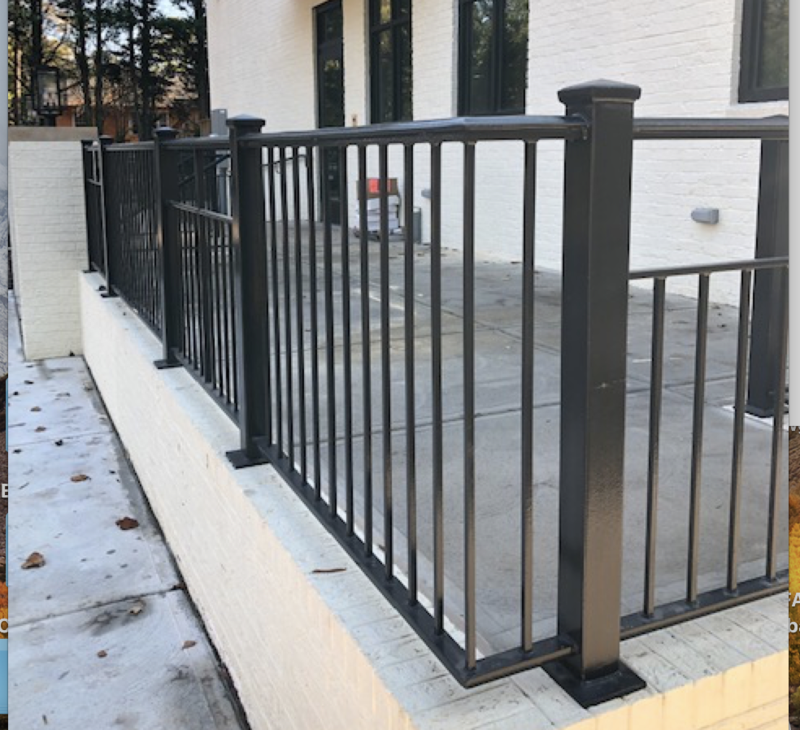 PICTURE # 1 Flat cap iron railings: top railing 3/8 x 2 heavy duty flat bar, 2"x2"x14 GA square tubing posts; solid 1/2" picket railings. Please fill out THIS FORM including your shipping address, phone number, pictures and plans. PICTURE # 12 shows the Mediterranean Mansion railing. 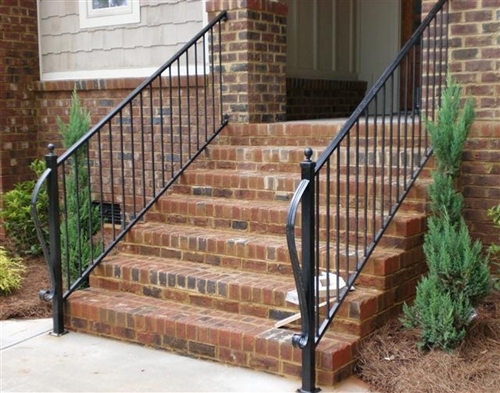 Flat cap iron railings: top railing 3/8 x 2 heavy duty flat iron bar, Bottom railings 3/8 x 2 flat bar. Solid 9/16 x 9/16 extra heavy duty pickets with fluted twist and a fancy center iron basket. Base price $99/ L.F* (Flat surface +posts + shipping). Add $125 for the center scroll, that can be modified to your wants. PICTURE # 13 shows the Iron Knuckle Railing: top railing 3/8 x 2 heavy duty flat iron bar, Bottom railings 3/8 x 2 flat bar. Pickets are made of 1/2 x 1/2 solid iron bars and include knuckles that alternate on a 1-2-1 pattern. Base price $99/ L.F (Flat surface +posts + shipping) Add $45 for each "S" scroll. PICTURE #14 shows a different knuckle pattern. Please fill out THIS FORM including your shipping address, phone number, pictures and plans. the price of the overall project.